Many parameters influence attenuation patterns and the overall image quality in CCTA. 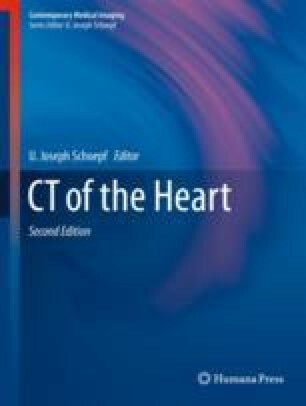 A thorough understanding of the underlying principles and their interaction is necessary to provide the full picture on the interplay of the various CM aspects, scanner-related factors as well as patient-related aspects. The ultimate goal is to create a personalized CM injection protocol, where all these parameters are tailored individually in order to provide adequate diagnostic attenuation values and image quality.